New Delhi, January 2019: With people getting all engrossed in updating their profiles on the social networking platforms, keeping their body healthy and fit isn’t a priority anymore but a complicated task that most ignore to achieve. And, this has led to some serious concerns of joint pain complications ticking on human bodies. Considering the same, Upakarma Ayurveda has come up with their revolutionary product, FitOrtho- Pain Relief Oil for all age groups. 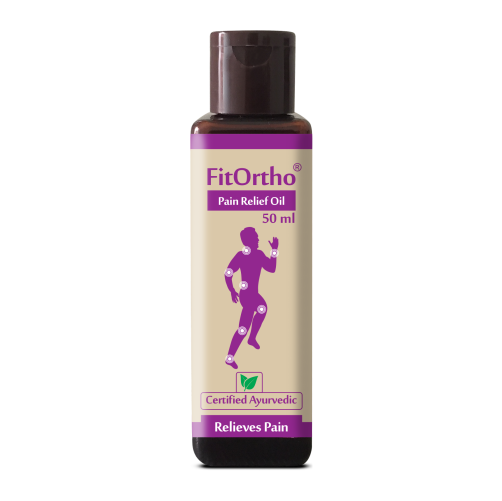 Available at both online and offline channels, FitOrtho is a 100% natural product made with the wondrous pain-relieving herbs and shrubs. Upakarma Ayurveda is a brand that understands the daily struggle and imbalance of life and vows to restore balance and quality to life. Balance has long been acknowledged as the key to achieving wellness. At Upakarma we aim to discover and develop herbal ayurvedic formulations in the most natural ways to ensure a healthy, fruitful life. Upakarma is the ability to achieve wellness both internally as well as externally, thus bringing balance to your life. At Upakarma we stand by our resolution to provide our customers with products made from ingredients of the highest quality, hand-picked by our experts from the purest sources, giving you the most effective and authentic experience of Ayurveda. Upakarma Ayurveda is always looking for trusted ancient formulations, from our Indian heritage, which will help our customers to lead healthier and balanced lives. Upakarma Ayurveda brings to you trusted and high quality creations, designed to deliver the best cure and effective treatment to promote a healthy body, a stimulated mind and to help you ‘ Balance your Life’. Upakarma Ayurveda is an organisation with a team of highly qualified and experienced experts. We are offering the benefits of ancient herbal formulations based on traditional techniques and scientific innovation.